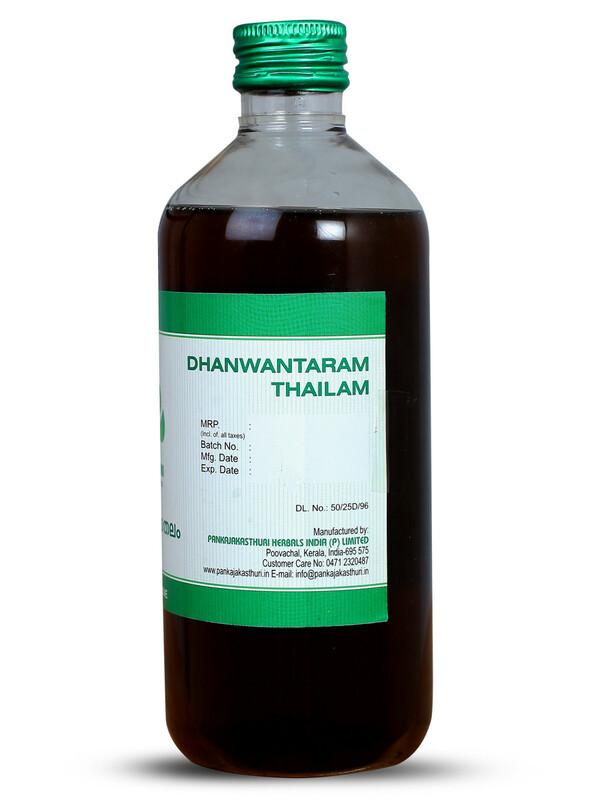 Dhanwantharam Thailam (Oil) is an ayurvedic medicated oil formulated for Vata disorders. 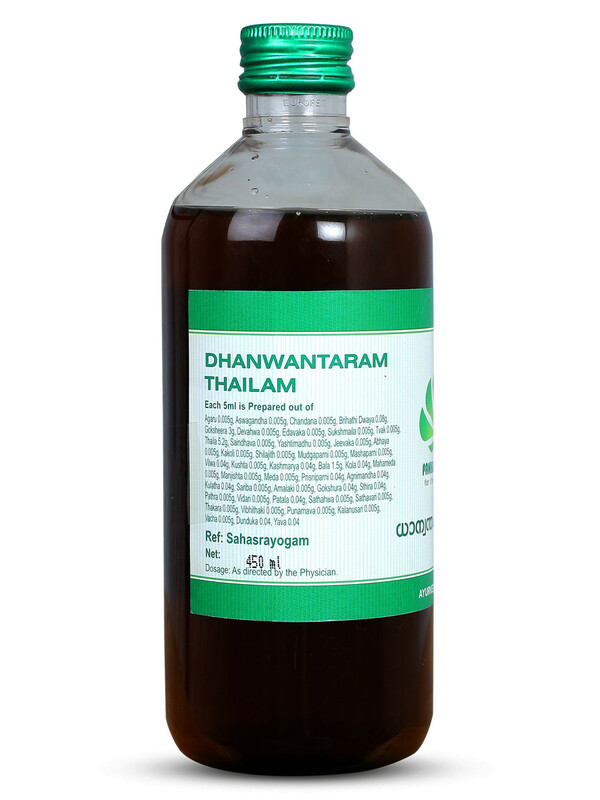 * The oil improves the strength of muscles, ligaments, tendons, and other tissues in the body. 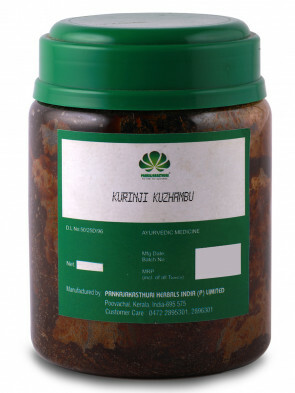 * The external application provides pain relief. 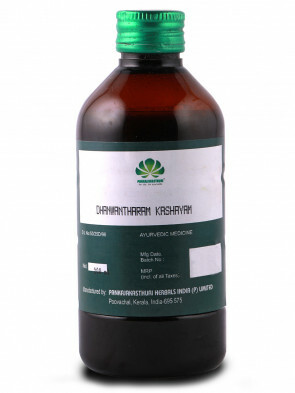 * This oil is used for massage for ladies, during pregnancy and postnatal period too, to improve body strength. 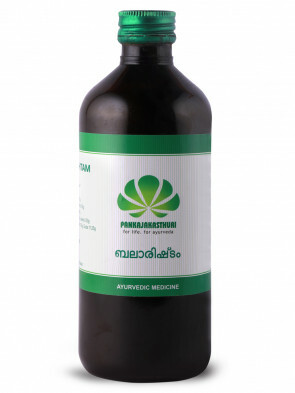 * It is also used as massage oil for babies. 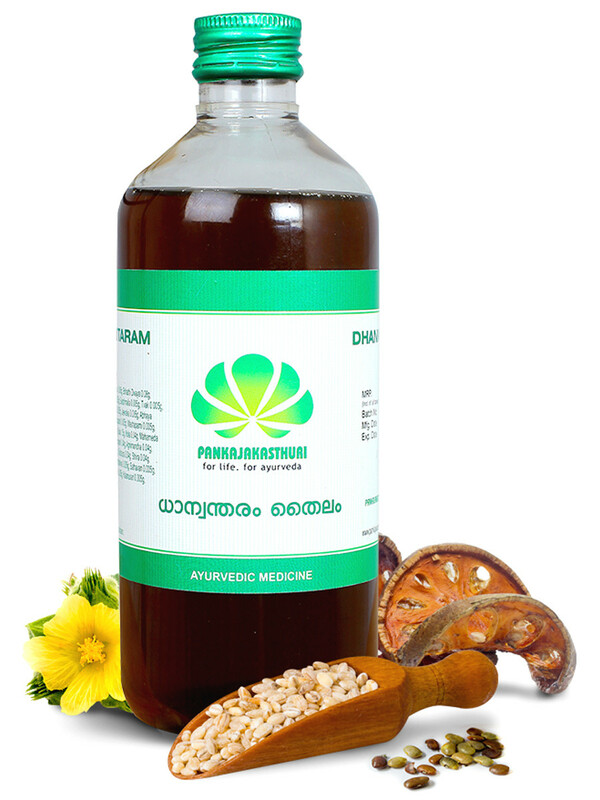 External application - For head (on scalp) and for body.